Could A Club Drug Offer 'Almost Immediate' Relief From Depression? : Shots - Health News Currently, there's no quick fix for severe depression. Antidepressants usually take weeks to work, if they work at all. But patients who received experimental doses of ketamine — long used as an anesthetic, and an illegal club drug — report an astounding relief from their symptoms in less than a day. There's no quick fix for severe depression. Although antidepressants like Prozac have been around since the 1970s, they usually take weeks to make a difference. And for up to 40 percent of patients, they simply don't work. You can get a sense of what they're up against by visiting the cavernous, bustling emergency center at Ben Taub, which is part of the massive Texas Medical Center. 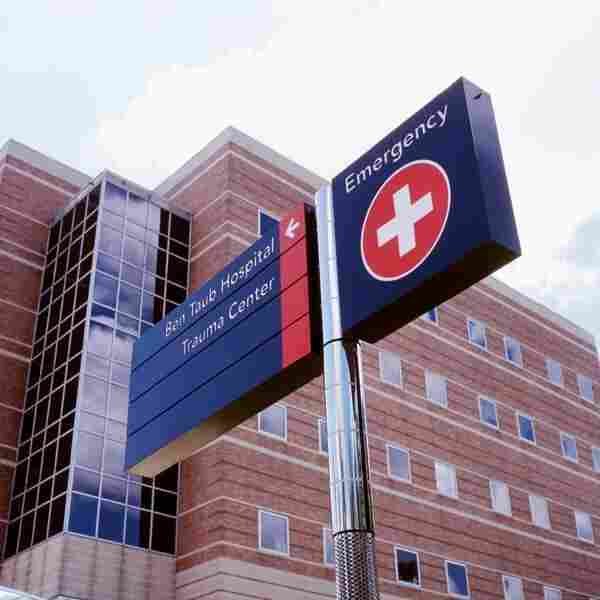 More than 100,000 patients a year get emergency care here, and about 5,000 of them need psychiatric evaluation. The hospital's 24-hour Psychiatric Emergency Center gets a steady stream of people with suicidal depression, says Charlzetta McMurray-Horton, who is in charge of mental health nursing. "If the police bring them in, they're going to come through this door," McMurray-Horton says, pointing to one entrance. "If the ambulance brings them in, they're going to come through this door," she says, pointing to a different entrance. And one of the challenges in treating these severely depressed patients is that there simply isn't any drug that provides quick relief, says Anu Matorin, medical director of the Psychiatric Emergency Center. "She was very emotional, very tearful, not making sense," Matorin says. "She says, 'I just can't take it anymore. I don't know how to feed the child.' The mother could hear the infant crying in the background." Then came the hard part, Matorin says. She knew the drugs might help the woman eventually. But they weren't going to do anything about her suicidal thoughts during the next few critical days. So Matorin did the only thing she could for her patient. She admitted her to the hospital's locked inpatient unit. But there's no avoiding the fact that this is a place where safety is paramount and privacy isn't, says McMurray-Horton. Shatterproof plastic windows around the nurses' station provide unobstructed sightlines to pretty much everywhere. "Patients don't want to be here," says McMurray-Horton, explaining that about three-quarters of them are in the unit because they have been deemed a threat to themselves or someone else. So it's not surprising that our tour of the unit is interrupted by the loud protests of one enraged patient. Units like this are necessary in part because drugs for depression don't work fast enough to help someone in the early days of a crisis, Matorin says. And McMurray-Horton says staff members here have a simple goal for patients in crisis: "Keep them safe, keep them alive until they're in a different space." Counseling can help, McMurray-Horton says. So can family. And she says most people in crisis just start to feel better after a few days in a place where staff make sure that "they stay in, and the world stays out." If drugs were more effective, "I think it would transform psychiatric care and really eliminate some of the stigma and fear and concern about treatment," she says. A growing number of scientists think it won't be long before psychiatric care is transformed. It's here that drug researchers are studying a drug that's unlike anything now used to treat depression. And they're giving it to patients who haven't done well on existing drugs. "I've suffered from depression for most of my adult life," she says. "It got to the point where I kind of felt like there wasn't going to be anything that was going to be able to help me." At times her depression gets so bad that she can't take care of her family or even herself, she says. And that's how she was feeling the day before, she says, when doctors placed an IV in her arm and began to administer a drug. Because it was part of an experiment, there were two possibilities. The drug could have been just a sedative. Or it might have been something called ketamine. 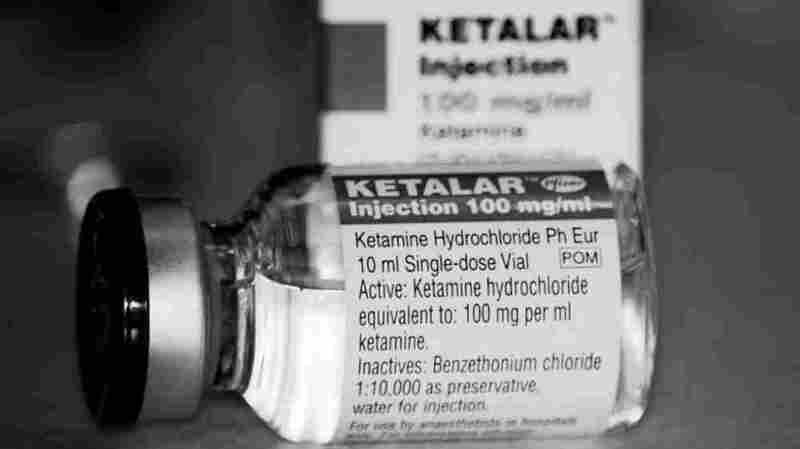 Ketamine has been used for decades as an anesthetic. It also has become a wildly popular but illegal club drug known as "Special K."
In contrast, drugs like Prozac take weeks or even months. And the frustrating thing is that depression medications really haven't changed much since Prozac arrived in the 1970s, says Sanjay Mathew from Baylor College of Medicine, who is in charge of the ketamine study at Ben Taub. "Everything since then has been essentially incremental," he says. "There have been tweaks of existing molecules." "It's a completely different mechanism," he says. "And the focus is on really rapidly helping someone get out of a depressive episode." Heather Merrill says she's pretty sure it was ketamine that flowed into her veins 24 hours earlier. "It was almost immediate, the sense of calmness and relaxation," she says. "Her demeanor has changed tremendously," says Dr. Asim Shah, who directs the mood disorder program at Ben Taub. "She looks like a happy person who is genuinely happy, whereas before the study, she looked very down, very withdrawn, sort of almost tearful." So I decide to see how Merrill's experience compares with the experiences of people who definitely took ketamine for depression. I talk to Carlos Zarate, who does ketamine research at the NIH and has never met Merrill. Zarate says patients typically say, " 'I feel that something's lifted or feel that I've never been depressed in my life. I feel I can work. I feel I can contribute to society.' And it was a different experience from feeling high. This was feeling that something has been removed." I compare this to what Merrill said about her experience: "No more fogginess. No more heaviness. I feel like I'm a clean slate right now. I want to go home and see friends or, you know, go to the grocery store and cook the family dinner." And researchers say the consistent patient reactions have actually made it more difficult to do good studies of ketamine. The drug's effects are so powerful and distinctive, they say, it's hard to prevent doctors and patients in an experiment from figuring out who got the drug and who didn't. Jon Hamilton's follow-up report looks at research that seeks to unravel how ketamine acts on depression symptoms in an effort to development faster-acting drugs.